A week after running last year’s Healdsburg Wine Country Half Marathon, I had the opportunity to run one of my bucket list races. It’s not the particular race that was on my bucket list — it could have been any race that crossed the Golden Gate. It just so happened that I saw the Golden Gate Half race promoted at the Healdsburg Wine Country Half Marathon expo, and grabbed a flyer. 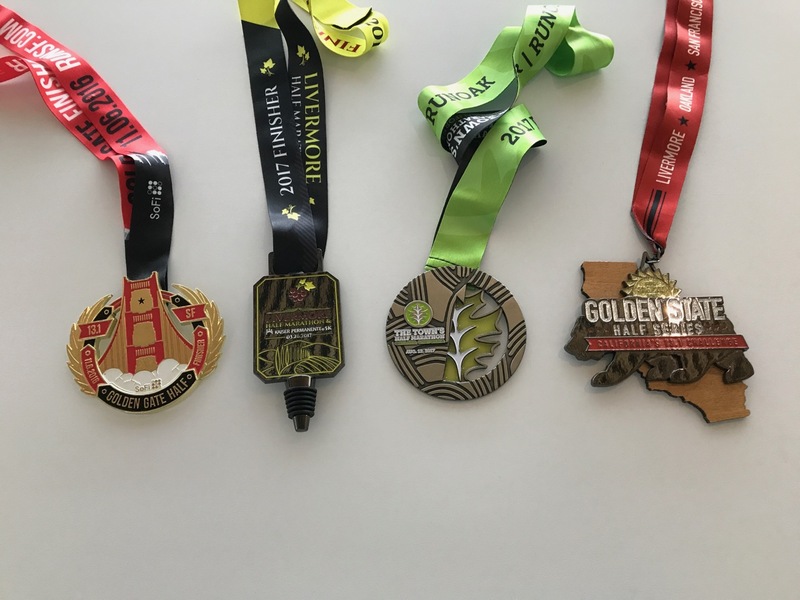 Then I got sucked into signing up for the three race series: the Golden Gate, Livermore, and Town [Oakland] half marathons. Who wouldn’t? All you have to do is run three races, and you get a stunning fourth medal with a grizzly and California state outline. On August 12, 2017, I finished the third race in the series and took home the grizzly medal.